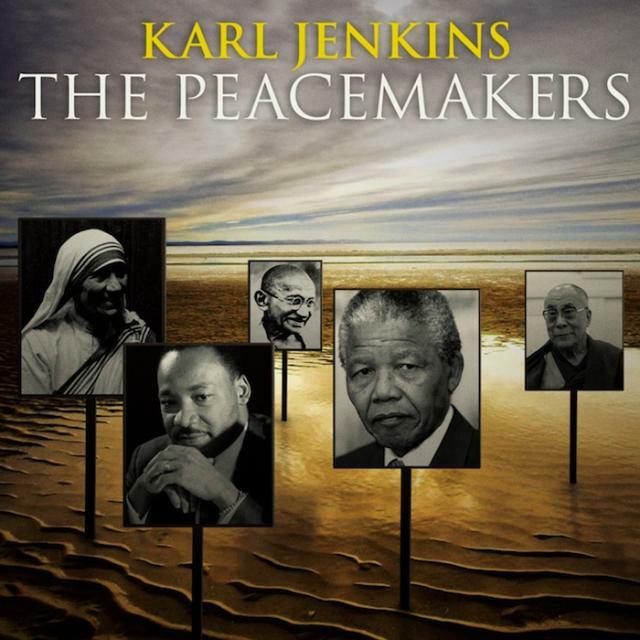 Two weeks ago, I had the privilege of hearing a live performance of Karl Jenkins’ choral work, “The Peacemakers.” I pushed myself to go to the concert because a few years ago, I had heard another choral work of his – entitled “The Armed Man: A Mass for Peace” – and it has been transforming my heart and understanding ever since. There are 17 different pieces in “The Peacemakers”, each with a different text and a different musical expression. From the poetry of Shelley, the words of Gandhi, the Dalai Lama, Celtic prayer, former captive Terry Waite, Mother Teresa, the Qur’an, the Bible, St. Francis, Martin Luther King, and Rumi – the words evoke a universal longing for peace and community. There is even a musical interlude, entitled “Solitude”, which – for me – is a reminder that we need time alone; time to listen and be present to ourselves and one another and God. I didn’t know anything about “The Peacemakers”, but I had heard there would be a large chorus of adults and children, and an orchestra as well. I was not prepared to be so moved and so inspired. Nor was I prepared for the continuing prayer and creative wonderings since. The opening song, “Blessed are the Peacemakers”, takes its text from the Gospel of Matthew. Blessed are the Peacemakers for they will be called the children of God. While the adult voices began, the children’s voices repeated the word ‘children . . . children.’ At that moment, the tears began to flow, and I began to wonder – what would it be like if we valued peacemaking enough that we included classes on peacemaking as core curriculum for grades K – 12? What would it be like if our communities and organizations – schools, churches, businesses, towns – operated within a framework of dialogue and decision-making grounded in practices like Non-Violent Communication and restorative justice? What would it be like? I shared my thoughts with a friend, who put me in touch with an organization I didn’t know about – called PeaceFirst (www.peacefirst.org). Their mission? To create the next generation of peacemakers. So with PeaceFirst, and many other organizations and programs whose missions are to promote and support fruitful, life-giving relationships, I pray for peace. I pray to be a peacemaker. Shalom. Shanti. Salam. Peace.